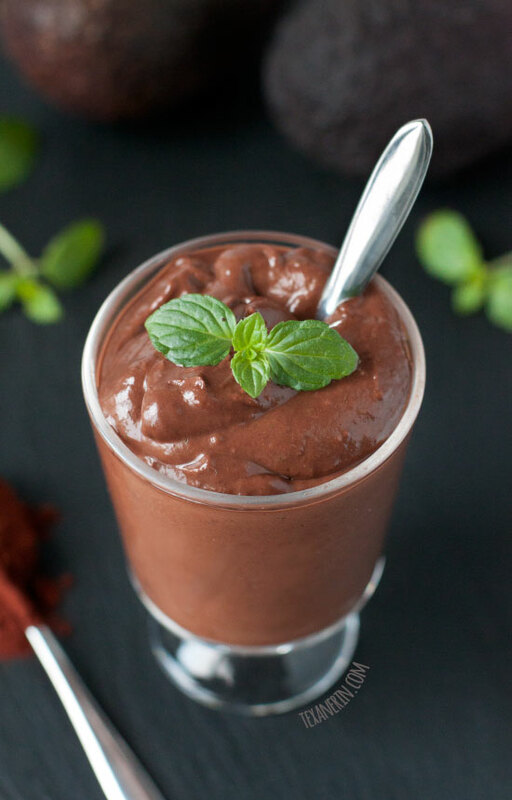 This rich and creamy mint chocolate pudding only uses fruit, cocoa powder and a little yogurt, making it a healthy alternative! 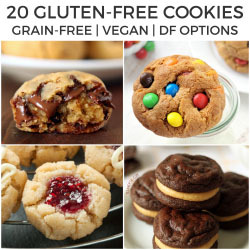 Naturally gluten-free with vegan and dairy-free options. I adapted this recipe from my chocolate avocado smoothie. That smoothie is already so thick all you have to do is leave out the 2 tablespoons of milk and you have pudding! What I really, really love about this mint chocolate pudding is the ingredient list. Avocado and banana (both of which you can’t taste), cocoa powder, mint, and Greek yogurt. It’s so darn healthy. I love zero guilt desserts! The avocado makes it so lusciously creamy and the banana adds all the sweetness you need. I highly recommend using Dutch-process cocoa powder in this pudding, or at least Hershey’s Special Dark Cocoa. If you use the regular kind, this won’t be nearly as dark and I’m afraid you’d be able to taste the banana and avocado. And please be sure to use peppermint and not mint extract! I’ve never tried mint extract, but I’ve looked into the difference between peppermint and mint extracts and supposedly, mint extract tastes more spearmint-y and doesn’t go well at all with chocolate. To make the pudding vegan and dairy-free, you obviously can’t use regular Greek yogurt but need to use dairy-free yogurt, like this homemade almond milk yogurt. I thought I could do this whole blogging thing while on vacation but I’m always beat at the end of the day and just plop into bed. Luckily, I had this post all ready to go before I left. I hope everyone has a great Christmas! Blend everything together, except the mint leaves / extract, with an immersion blender or a small food processor until it's very creamy. You can also use a blender if you have a very good one like a Blendtec (my regular blender requires too much liquid for a pudding like this). Add mint extract, to taste. Serve immediately. Can be refrigerated for about 4 hours before it starts to taste a little funny. 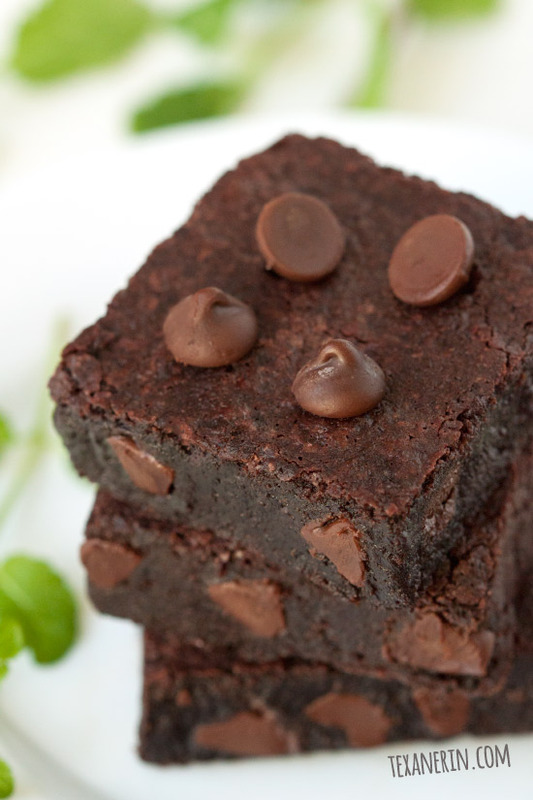 22 comments on “Healthy Mint Chocolate Pudding (grain-free, gluten-free, vegan option)” — Add one! I’d totally be into this pudding any month of the year! Love how creamy this looks. What a perfectly rich chocolate pudding that is healthy and perfect for 2016 :) love it! Erin, this looks incredibly thick, rich and chocolaty. Love that there’s avocado involved and also that you’ve added mint for a kick. I need to make this. Seems really easy too. I haven’t had pudding in ages! I love this healthy twist! Great ingredients too? I love the ingredients list here, as well! I love chocolate and mint together! It looks just as tempting as the brownies. Love! This looks amazing indeed. I already have some cocoa powder and greek yogurt. I’ll have to pick up an avocado and banana and give this a shot. Thanks Erin! Hope you and yours have a very Merry CHRISTmas and a Happy New Year.